Would you like to work in the Creative Industries? We have a casual position available for a Personal Administration Assistant, initially starting at 4 hours per week 10am – 2pm, with the potential to increase to 8-12 hours per week, after training. You will be working alongside Bron Harrison, founder of BRHYTHMIC. BRHYTHMIC Pty Ltd is a progressive drum & percussion studio based on the East Coast of Australia. 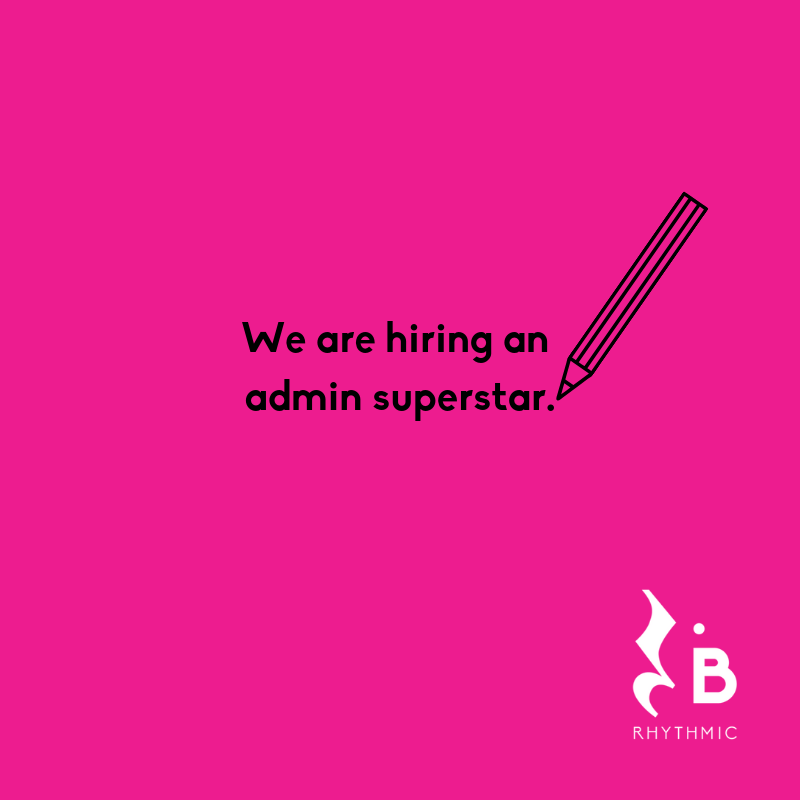 We are looking for a local admin to start in our Byron Bay Studio in March. Where you are located (must be in proximity to the Byron area and willing to fly to Sydney for the occasional trip). Where you are currently working or what you are currently doing with your time. Why you are looking for work and what you hope to achieve by joining our team. What your previous experience is and how much experience you have with the aforementioned NEEDED & PREFERRED SKILLS on a scale of 1 to 5, 1 being ‘not at all’ an 5 being ‘I’ve totally got this covered’ please rate yourself and some commentary around each one. How you align with the BRHYTHMIC vision. Videos are not critiqued on video quality or your public speaking ability, rather the content of your message. It’s ok to refer to notes. Creative efforts and your ability to communicate the above requirements in a concise and meaningful manner are viewed favorably. Remuneration is guided by industry standards and to be negotiated dependent upon experience. Both casuals or freelance/contractors are welcome to apply. Send your Youtube/Vimeo video link and your CV to bron@brhythmic.com.au by COB 20 February. Thank you.